This estate is located in the Maremma, the so called ‘wild side of Tuscany’ on the coast in Grosetto. 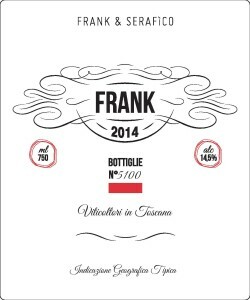 This is a modern collaboration between two young winemakers Fabrizio [Frank] Testa and Pier Paolo [Serafico] Pratesi . They decided in 2009 to rent property and make wine in the Maremma. Within 2 years they started purchasing their own vineyards and continue to add to their holdings. This estate not only specializes in craft wines but also craft beer besides they have a restaurant right on the property. This property is located in the Uccelina Natural Park a beautiful and rugged landscape where the soils nearest to the property are generally sandy. This is where the white wines are planted. The reds are planted on sloped soils in Magliano. These soils are mostly filled with limestone and skeletal remains from long ago sea beds. 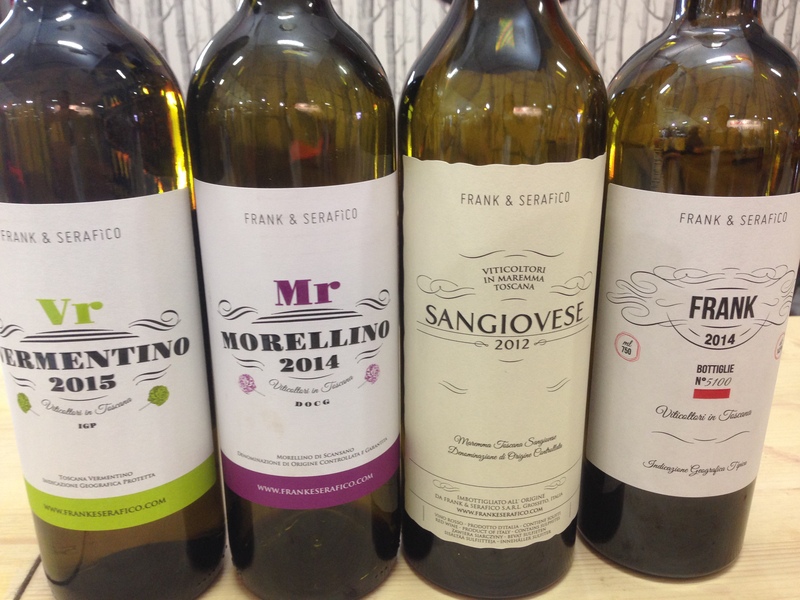 We will begin our collaboration with their Vermentino, Morellino di Sansano, and ‘super Tuscans’ Frank [a Bordeaux blend] and a 100% Sangiovese. Mr MORELLINO Vineyard location and elevation: Magliano in Toscana @ 250M asl Varietal: Sangiovese Soils: Galestro [consisting of stones] Hand Harvested The grapes undergoes pre-ferment maceration at 8 degrees C for 2 days, alcoholic fermentation takes place in stainless steel temperature controlled. 15 days skin contact Malo in cement vat Ageing for 8 months in cement then minimum for 3-6 months in bottle. 20k bottles production. Marasca and Violet notes on the nose and palate . 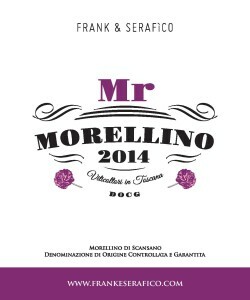 The Morellino Mr comes directly from our Sangiovese’s vineyard. 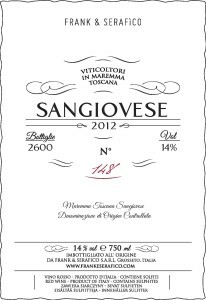 This wine has a contagious freshness, a delicate scent of violet and marasca cherry, a fruit with a firm and savory taste. 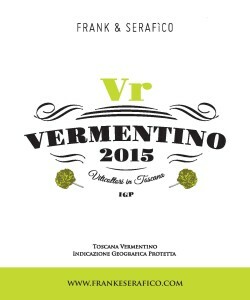 Vr Vermentino - IGP Toscana Vineyard location and Elevations: Albarese, Maremma's Natural Park @ 30M Asl Soil: Medium red soil, gentle slope Alc. : 13% Hand Harvested The grapes undergo a cold maceration in a press [12 hours at 5 degrees C. After the pressing phase the must undergoes static, natural low temperature decanting. Alcoholic fermentation takes place in stainless steel vats temperature controlled. Malo in stainless steel. Ages for 6 months in stainless steel on the fine lees with gentle stirring. 20k bottles produced Very vigorous is the aroma of Mediterranean scrub and citrus aromas, a harmonious taste, heightened by its fresh acidity which is perfectly balanced by the full structure.